Officials from the agriculture ministry told reporters on Monday that efforts to clean up debris at the Fukushima Daiichi nuclear power plant may have been the source of cesium that contaminated rice crops about twelve and a half miles away in the city of Minami Soma. The officials suggested that the radioactive materials were transported by winds during debris removal work conducted in August 2013 at the Unit 3 reactor building and called for TEPCO, operator of the plant, to take measures to address the contamination. 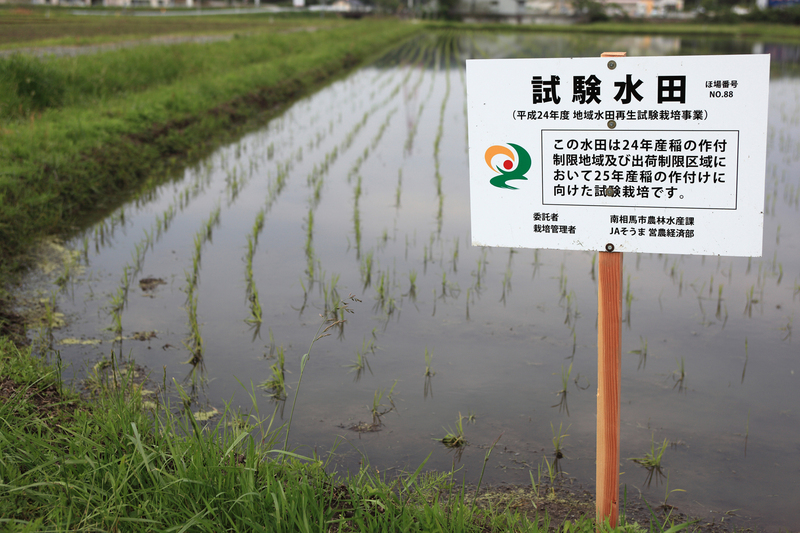 According to the agriculture ministry in 2013 rice harvested from 14 paddies in Minami Soma contained cesium levels exceeding the 100 becquerels per kilogram safety limit set by the Japanese government. Investigations found that the contamination was found on the outside of the husks. NHK is reporting that TEPCO told the agriculture ministry that it will begin using chemicals to suppress dust from spreading during future debris removal operations at the Unit 1 reactor building. TEPCO plans to conduct debris removal operations at the Unit 1 reactor after they disassemble the covers that were installed to help stem the continuous release of radioactive materials from the crippled building from escaping.